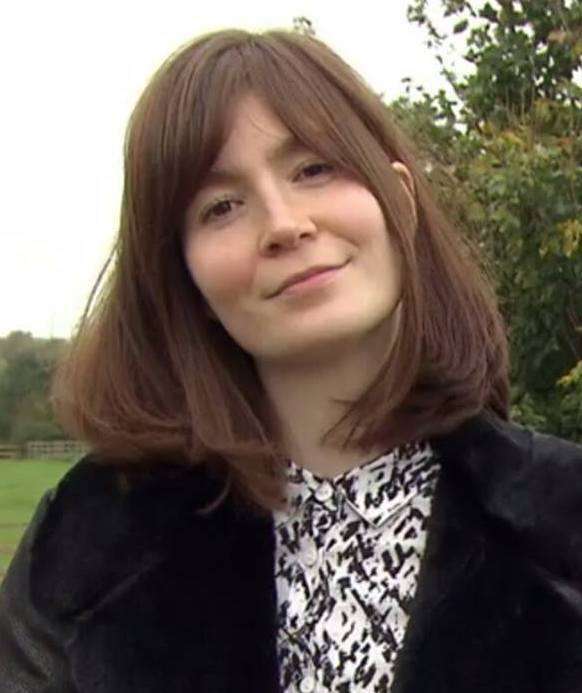 Scottish television presenter, Natasha Raskin's name was credited as Natasha Raskin Sharp in the BBC's series Bargain Hunt, which was enough to create a hype surrounding the presenter's personal life. The Glasgow-native is the regular host of BBC one's show Bargain Hunt. Moreover, Natasha is a regular professional contributor to the BBC's Antiques Road Trip, Flog It! and Celebrity Antiques Road Trip. Natasha's sharp Scottish accent make her show and herself all the more alluring to watch. Natasha was born in 1986 to Scottish artist father, Philip Raskin, and mother, Barbara Raskin. She had picked up the love for arts and antiques from her father. She was the middle of three children in the Raskin family. After briefly pursuing a degree in law, Natasha dropped out from the college and turned to arts and antiques. She joined the Glasgow University and graduated with a degree in history of arts and French. Natasha's height of 5 feet 8 inches is quite tall for a Scottish woman. Right after College, Natasha joined McTear's Auctions and specialized in the contemporary art form. Her works with the McAteer's did not go unnoticed as her expertise in arts stood out and led her to appear in various antique shows. And in 2016 she was chosen as one of the hosts and antique expert for BBC's Bargain Hunt. The year 2016 was pretty fruitful to the presenter, as she had a lot of TV appearance. Apart from her day job with McAteer, she had assignments with five shows. The hectic schedule meant that she had to give up on her day job to fulfill her commitments. Natasha has also appeared in various arts and antiques related shows such as Antiques Road Trip and Flog It!, For What' its Worth and Baggage Battles. The new season of Antiques Road Trip spinoff, Celebrity Antiques Road Trip aired on BBC2 this November 14th, and Natasha reprised her role as the expert. Apart from her interest in antiques, Natasha has also worked as the guest presenter for BBC Scotland Radio's The Music Match, where she juxtaposed her knowledge of the art to the music and played some peculiar playlist. Additionally, she has also presented the story segment of BBC 1's The One Show. The newfound challenge was something the Scottish presenter loved. Always a fun loving, bubbly character, she loved the life of constant travels and visiting new places. What's more, as of 2018, she remains associated with all the live shows and is living her life on the go. When it comes to earning, it is not difficult to figure out that she has made big money from her career. She enjoys the extravagant lifestyle along with the impressive net worth, which is yet to be revealed. As the 47th season of Bargain Hunt rolled out to the viewers in 2017, Natasha Raskin had an added label to her name, Sharp. A quick delve into the record books revealed that Natasha had married TV producer Joe Sharp in 2017 and had taken up her husband's name. The news of wedding came up as a surprise to many as there had been neither dating rumors with boyfriend nor engagement rings on display from Natasha's side. The couple had their wedding ceremony at an unknown location in Scotland. Despite trying to keep the wedding details a secret, her expanded name revealed it all about her partner. The husband and wife duo work at the BBC’s Antiques Road Trip, Joe is the director and producer and Natasha as a guest expert. What's more, Natasha has revealed about her love for her husband through various interviews and classified him as a supportive and lovely guy. The couple seemed to be in a relationship before their marriage which is evinced by her interview with BBC in June 2015. Talking in an interview, she revealed that she used to spend her free time with her partner eating delicious food at the restaurants of Glasglow. She has already hit unimagined heights at the tender age of early thirties and whats more with a loving husband flanking her; it's sure to hit newer heights.